Bluetooth headsets have come a long way since the technology was first introduced. 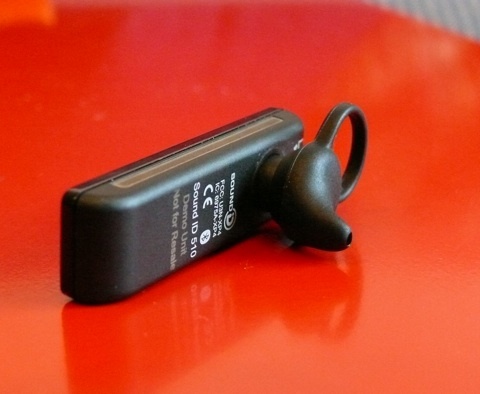 Sound ID is proof of that with the introduction of its Sound ID 510 Bluetooth headset. The 510 has one button functionality, 3X NoiseNavigation (offering noise reduction capabilities with wind reduction) and our favorite feature, the EarPrint iPhone App. With its thin and lightweight design, the Sound ID 510 is easy to bring around with you and is not very clunky when on ear. Sound ID sent us a unit to review, check out our impressions after the jump. The bluetooth headset itself is just a tad bit longer than 2-inches which makes it noticeable, but not so long that it takes up your face. Weighing in at less than .28 ounces, this bluetooth is very lightweight and easy to wear on your ear without it being annoying. 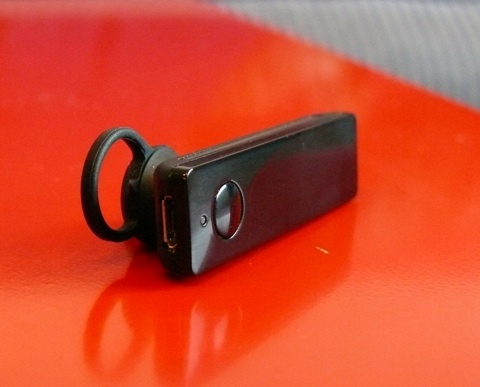 The front of the bluetooth is a glossy black color with a single button and a call status LED. On one side there is the physical on/off switch, which we found to be much more useful than the single button on/off many other bluetooth headsets use. Turning the bluetooth to the other side will reveal the three microphones that are hidden under a metal piece. On the back end of the device there is the microUSB charging port. 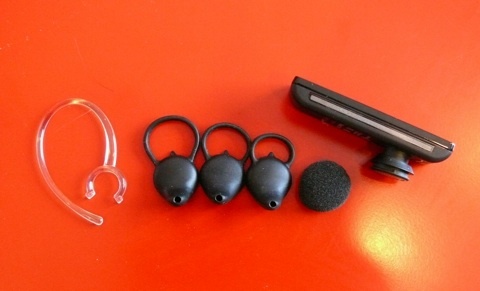 There are three different earbud sizes for all different ears and an optional ear loop if that is your cup of tea. We are fans of the ear loop, but there is no problem keeping it in your ear without it. The sound quality on the Sound ID 510 Bluetooth headset is fantastic. When using the microphone to talk to another party, they have no problem hearing what we are saying even when driving with the windows down. Hearing the other party sounds great through the earbud and there is no issue with volume. The Sound ID 510 has 3X NoiseNavigation which has the purpose of noise reduction and wind reduction. We tested this feature in a few different loud places and found that it worked as promised. When the NoiseNavigation was turned on, people on the other end said they could hear us fine. When we turned NoiseNavigation off, they said there was much more background noise. The thing that really makes the Sound ID 510 unique is the EarPrint iPhone App. 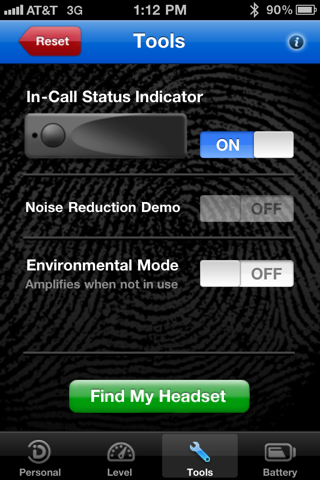 This app allows iPhone users to make changes easily to their handset like turn on “Environmental Mode” which amplifies sounds around you when not being used in a phone call. It also allows you to check the battery life to see exactly how much battery you have left before the bluetooth is going to die. This app can be downloaded from the iTunes App Store for free and automatically finds the bluetooth headset when linked to your phone. Users can also stream music and audio from their phones to the bluetooth headset. On our iPhone, we tested Pandora and the iPod app which both worked perfectly. We love seeing this feature on a bluetooth headset since it is not as widespread among bluetooth headsets as we’d like. The Sound ID 510 headset can be paired up to two devices at once. This is useful for those who carry around a personal phone and business phone since you can have them both paired up to one headset. The Sound ID 510 is available for purchase for $129.99. It is definitely considered a higher end bluetooth device and has the features to back up the high price.